The spring and summer months are known for being the prime seasons for real estate shopping. The number of listings begins to increase, leading to a spike in showings and open houses. The nicer weather benefits buyers, sellers, and agents alike. People are more likely to view homes and visit open houses in nice weather. But for those who would like a significant advantage when shopping for a home, the winter months provide unparalleled opportunity. The winter months are the perfect time for the bold and contrarian alike to shop for homes. While common sentiment directs shoppers to conduct their real estate search during the warmer months, winter’s cold weather presents the opportunity for buyers to shop with fewer crowds. The low demand coupled with drastically fewer buyers to compete with benefits investors and homebuyers alike. However, the downside to shopping for homes in the winter is a decline in inventory. Homebuying data from Trend MLS reflected an average of 771 units listed in Philadelphia for the winter of 2017 versus 1,013 for the rest of the year. Still, the decreased inventory presents the opportunity for homebuyers to find much lower prices. With fewer buyers in the market and roughly 80% of inventory still available, prices are usually lowered in the winter months. 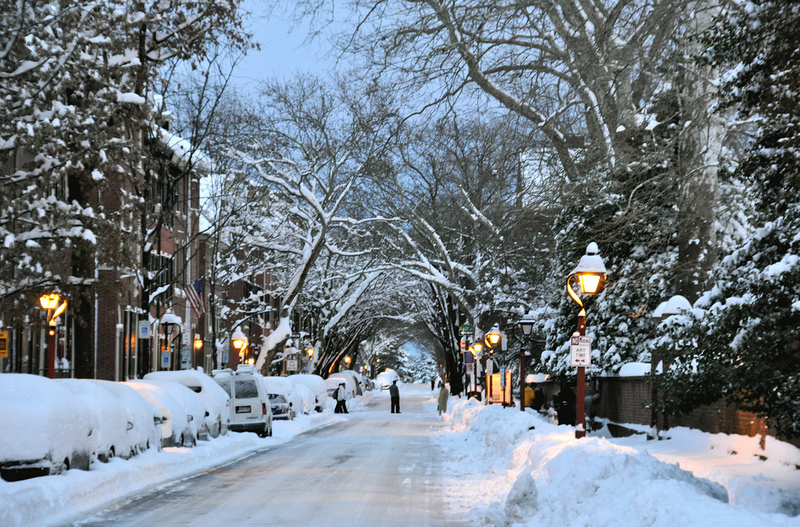 According to Trend MLS, homes listed in Philadelphia spent an average of 60 days on market during the winter of 2017, as opposed to 48 days on market for the rest of the year. The combination of larger supply, smaller demand, and longer days on market create an opportunity for buyers as sellers are likelier to be more motivated in selling their homes. The winter buyer’s market creates motivated sellers who are more likely to negotiate on price, closing costs, and even miscellaneous terms of sale. Winter buyers have a significant advantage over spring and summer buyers as the decreased competition and lower inventory present a higher likelihood of there being little to no competing offers on a home. With fewer chances of being outbid, buyers have a significant advantage over sellers during negotiations. The winter months have a profound impact on real estate agents as they are a time of decreased activity. Agents find themselves significantly less busy and looking toward the coming spring market. Buyers will benefit from working with an agent during this time as it is widely considered to be a slow period. Data from Trend MLS shows an average sold volume of $181,133,064 for the Philadelphia market in 2017, as opposed to $260,967,816 for the rest of the year. Agents will be looking to increase their sales and raise their profile during the slow season. As a result, buyers will be working with agents motivated to close deals during a slower market.